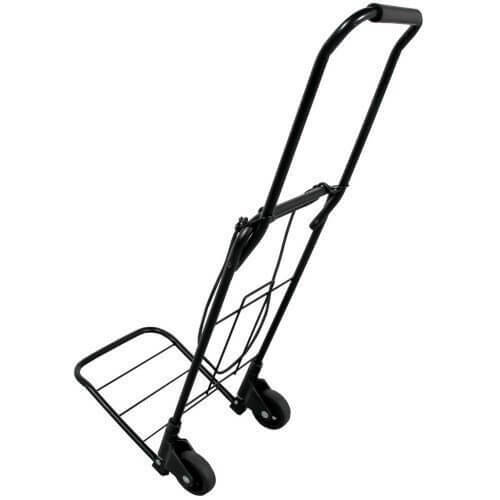 The Accu Case easy foldable and portable luggage cart extends to a height of 1m. Wheels automatically swing out and fold up for easy storage. Extra sturdy and lightweight, extremely portable. Smooth rolling 10 cm diameter wheels. Loading capacity: 50 kg.